Craft-Bamboo Racing is proud to announce Alex Tagliani and Greg Taylor as their first driver pairing for the inaugural FRD LMP3 Series season that kicks off in China in May. Canadian Tagliani and Taylor from Australia will be tasked with steering the #20 Ligier JS P3 to victory and the pair of expert racers present one of the most competitive lineups on the grid thanks to their diverse race history. Tagliani has over 200 races under his belt at the highest levels of North American open-wheel racing, competing in IndyCar, Champ Car and CART. His new teammate, Taylor, is a championship winning GT driver who has found success in the Australian GT category and now heads to Asia to take on a new challenge in the FRD LMP3 Series. Alex Tagliani has two decades of professional motorsport experience behind him, racing in some of North America’s most famous and competitive series. He is an eight time Indianapolis 500 entrant, taking pole position at the illustrious event in 2011 to achieve one of motorsports’ great career milestones. Tagliani has also been a regular competitor in various NASCAR series over the years, contesting the Truck Series and Canadian Tire Series where he took 3rd overall in 2016 with his own team, Tagliani AutoSports. Over the last three years the Canadian has driven with Team Penske in the Xfinity Series, most recently at Road America in 2016. 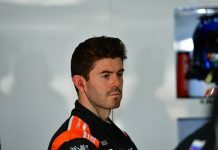 Not content with just open-wheel and stock car racing, Tagliani got his first taste of prototype competition in 2014 when he ran in the United Sports Car Championship in LMPC, preparing him for the challenges that he will face in the FRD LMP3 Series. As a driver, Tagliani presents the complete package; his experience at the highest level of open-wheel, GT, stock car, prototype and endurance racing makes him one of the most skilled competitors on the grid who is also armed with a strong technical background. 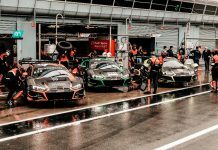 Greg Taylor is an experienced GT driver who has competed throughout Australia and more recently in the Asian region in the Audi R8 LMS Cup China. After developing his race craft in the Bridgestone NZ Porsche Championship over numerous seasons, Taylor went on to compete in the 2014 Porsche Carrera Cup Australia before taking on the 2015 Australian GT Trophy Championship where he would claim the drivers’ championship title. The following year, Taylor made his prototype debut where he drove a Ligier JS P3 at the Gulf 12 Hours in Abu Dhabi. He went on to impress by taking a class victory in the endurance race and gain valuable experience in the LMP3 category. In the same year, he went on to claim a Bathurst 12 Hour win in the AM class, finishing sixth overall in an Audi R8 LMS GT3. 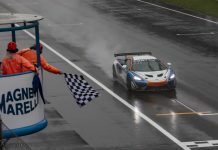 The Australian driver continued his string of success and finished second in the Australian GT Trophy for 2016. He now joins Craft-Bamboo Racing to tackle the maiden FRD LMP3 Series season with teammate, Tagliani. Thanks to Taylor’s experience in the Ligier, the GT champion will be able to hit the ground running and will take no time in getting up to speed and putting the #20 Craft-Bamboo Ligier JS P3 on the top step of the podium. With the FRD LMP3 Series offering a clear path to the 24 Hours of Le Mans, Craft-Bamboo’s sole intention is to score the drivers’ title and claim the championship prize, which grants free entry into the Asian Le Mans Series with an LMP2 car. Upon winning the Asian Le Mans class title, the team would be awarded a place at the most celebrated endurance event on the planet, the 24 Hours of Le Mans. 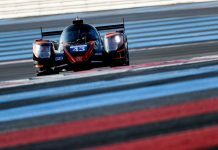 Craft-Bamboo is aiming to return to the Circuit De La Sarthe since their last competitive outing in the World Endurance Championship in 2014. 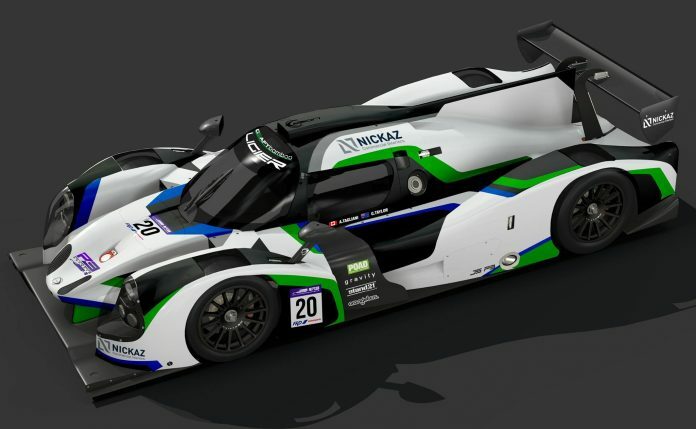 The team will release details on their second LMP3 entry and its confirmed all-star lineup in the coming weeks. “I am really excited about working with Craft-Bamboo and really thankful for the opportunity to race in this series. Pairing with an Aussie teammate (Greg Taylor) after being married to an Aussie girl is a perfect fit. This season looks like a lot of fun and I am really looking forward to driving the Ligier LMP3 as well. Everyone I know has great things to say about the Ligier, so driving a car like that on these amazing circuits with a team like Craft-Bamboo is awesome and I am really enthusiastic about the start of the season.